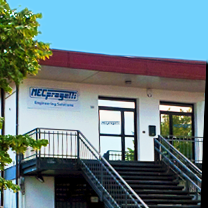 MECPROGETTI S.r.l engineering company undertakes industrial mechanical design, graphic development, technical and connected documentation, scientific consultancy and prototypes creation. 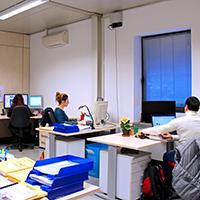 Strengthened by long-term experience in various sectors of mechanical design, the founders of MECPROGETTI S.r.l. decided to start a business which was the sum and, at the same time, the synthesis of all their respective technical backgrounds. MECProgetti Tech: deals with industrial design with regard to the mechanical area. MECProgetti Graph: follows all matters regarding manuals and advertising graphics. MECProgetti Sheet: specializes in the development of metal sheet moulds and workshop equipment. MECProgetti Vacuum: aimed at the scientific and university sectors with particular reference to ultra-high vacuum equipment and R&D. MECProgetti Training: supplies the client with the necessary knowledge for operating in full autonomy.